IAS preparation requires both offline and online study. E-Learning is the greatest information revolution in today’s education and online information database is updated continuously hence present a great opportunity for learning for IAS aspirants. 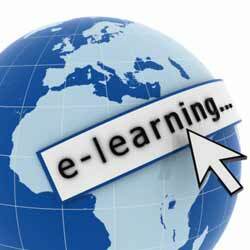 Although online education has its limitations but the advantages associated with the internet are still unmatched. When it comes to IAS preparation, the quality of what you read is just as important a factor as how much you read. Since the Internet has become a major source of information, it is also convenient to get your study material from here instead of stacking up books. It is very important to discover how to learn using all available websites and to choose the ones that best suit the study requirement. The style of filtering the information is also a keen task. Here, we provide the list of all useful websites for IAS Exam preparation. There are some websites that are to be referred every day and some websites that we require to update are notes and some web pages offer exclusive standard material to study from. We are listing all three types of websites that are important with respect to IAS Exam. Mostly websites related to current affairs are in this category. Let’s analyse the details of what to read from these listed web pages. 1. newsonair.com: Listen to All India Radio news updates of 9 pm every day and also refer to the debate discussions on the Sunday broadcast. Try to make notes from the news analysis section of the website. 2. pib.nic.in: The Press Information bureau of India to well known to provide first-hand information on all latest government ministry updates like the launching of any new scheme and also some landmark decision of the Supreme Court. 3. ptinews.com: The press trust of India provides very important one liner information that is vital to be noted down for IAS Prelims. The updates on who, what, when and where can be easily extracted from here. 4. thehindu.com: This website is great to read all the editorials and opinion articles at one place. Select a topic that needs to be analysed and search the relevant The Hindu’s article on that topic. This provides a progressive study on an issue. 5. economictimes.indiatimes.com: Read the columns of good economists on latest economic policy. Specifically, study the details on economic Survey and activities of RBI. There are a lot of websites on the UPSC subjects and also there are a number of websites dedicated especially for Civil Service aspirants. However, reading about the same thing from too many sources can become a major cause of confusion. Hence, we provide a list of websites that needs to be visited only once or twice a month to update key standard information on current affairs. 6. prsindia.org: Make notes on all latest passed, pending and lapsed parliamentary bills from here. Also, refer to quarterly review report on Government acts after each parliamentary session. 7. mea.gov.in: View this website to keep a track on latest PMO visits and MOU’s signed by the Government of India. 8. yojana.gov.in: Read all latest editions and archives of Yojana and Kurukshetra magazine from here. 9. envfor.nic.in: This website is extremely useful to study the current updates in environment section of the country. The annual report released on this site is crucial to read, especially for IAS Prelims. 10. vikaspedia.in: This website to useful to make notes on all the social and economic welfare schemes launched in India. This is a one-stop destination to study objectives of all major welfare programmes of Government of India. It is advisable to refer to only standard sources whenever an aspirant needs to study any government policy or scheme. Hence, we provide an exclusive list of government information portals to study from. 11. indiabudget.nic.in: Read in detail the annual financial statement and economic survey from this website. The speech of the finance minister is also available with key highlights of the annual budget. 12. arc.gov.in: View all 15 reports with recommendations of 2nd Administrative Reform Commission in detail from here. 13. upsc.gov.in: Refer to all previous year question papers of IAS Exam from and here and also keep browsing this site for notifications on IAS Exam. 14. ncert.nic.in: Read and make notes from the PDFs of NCERTs from class 6th to class 12th from this website. 15. nios.ac.in: download and read only the relevant study material on the environment, history, polity etc from here. This website can be very helpful for value addition in your optional study material. 16. egyankosh.ac.in: Read and download all the IGNOU’s course material as per requirement from this website. 17. Jagranjosh.com: This website provides the greatest repository on current affairs questions on IAS Prelims. It also contains significant tips on how to start with IAS Preparation. See the below link for more details. The Internet is like an ocean of information, and it can be confusing for IAS aspirants to decide what to read. Finding the correct website destination for IAS Preparation becomes a tricky task in itself. An aspirant should bookmark all websites listed above for better study and more material. Although e- platforms are very handy and easy to grasp but they are also the biggest time stealer of IAS aspirants. Hence, it is important to prepare a list of a few good websites, magazines and channels for IAS preparation beforehand. The most vital thing to remember is that the best IAS preparation requires both offline and online study. Pick websites for better-consolidated learning but do not compromise on the reading the Hindu or The Indian Express. Many websites will boast of providing a synopsis and alternative of paper, but there is no substitute for newspaper reading.